Kevin Krab42 on PokerStars and Full Tilt) Rabichow has built a complete heads up no limit cash game poker video package. This collection of videos totals over 3 hours and 45 minutes and is structured to help beginner and intermediate level players looking to jump into hu cash or improve their existing play. Players learn how to play hands without any reads on their opponents, how to make adjustments starting with little information and how to play hands in specific situations against the types of opponents you are most likely to face at the tables. 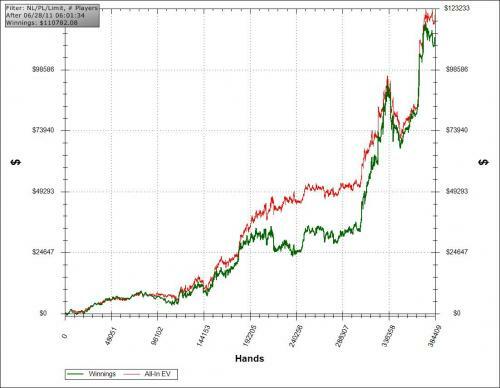 Both preflop and postflop analysis is covered in depth, from basic fundamentals to more advanced and deeper strategy. Kevin is a heads up cash professional from Chicago. He relocated to Toronto post black friday to continue his poker career. He has a degree in economics and a minor in statistics from the University of Chicago. A full profile of Kevin's background inside and outside of poker, can be found here. Below are Kevin's recent heads up cash statistics. Below, Kevin provides a description of each part of the series including samples of several videos. This is an introduction of what to expect from the series. I discuss the way the lobby structure impacts HUNL games and the long term advantages to those who battle regs. I also introduce the three common player profiles that I recommend using to plan adjustments to our opponents. In this video I present my readless approach to preflop play. Then I review some of the ways you may go about assigning a player profile to your opponent. 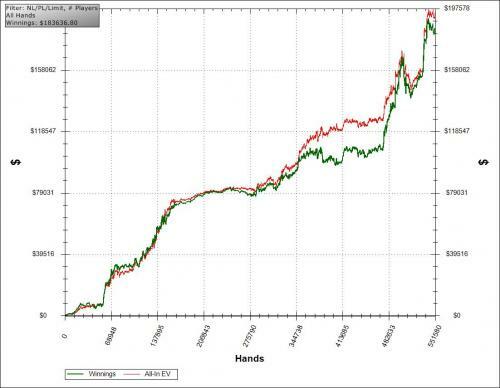 After fitting that profile, I discuss how to make preflop adjustments both IP and OOP. This video moves into an advanced discussion of preflop play. I describe how to build the highest EV 3betting range possible against various opponents. I then begin transitioning into the postflop portion of the series by advocating getting our range to late streets as often as possible. I hold a very in depth discussion about the purposes of cbetting (and betting in general) throughout this video. I explain why the traditional breakdown of bets as value/bluff is necessary but at times insufficient. Following up a discussion of why to bet, I use this video to break down a variety of spots where we should want to check. An analysis of different board textures helps us break down when to bluff multiple streets, when to trap and a few other adjustments. Lastly I look at some popular misconceptions about good or bad bluff cards. In the final presentation video I break down the concept of randomization by equity. Helped by a few hand examples I approach playing 3bet pots in detail and close the video with some general advice. The first of three parts in a 2-tabling match against a 100nl reg on Stars. I discuss the merits of floating when we don't expect to get barrelled often, as well as floating our strong draws instead of raising to get it in. We analyse bet sizing in detail when our opponent shows that he uses a number of sizes in different spots. Near the end of the video we begin to notice that villain isn't folding to cbets and begin discussing our adjustments. In the 2nd part of our match we run into a lot of spots where it becomes relevant that villain isn't folding to our cbets. Finding a good spot to overbet leads to a breakdown of what circumstances I'm looking for to make an overbet bluff or value bet. When I find a second good spot to overbet I also discuss my feelings on levelling wars. Near the end of this part villain opens up a donkbetting game and I explain my plans to exploit it. In this final video our opponents aggression seems to have tapered off and I point out some spots where I failed to properly adjust. I begin to notice some timing tells and take advantage of the information they give off. Near the end of the match we have to fold a fairly strong hand to an underbet and I note how we can catch our opponent if he's bluffing this spot. Once purchased, users may download the files by click on THIS LINK.